Domaine du Grand Tinel is located on the left bank of Rhone River, between Orange and Avignon. The 74-hectares vineyard grows old vines, and includes 56 hectares planted in Chateauneuf-du-Pape appellation. 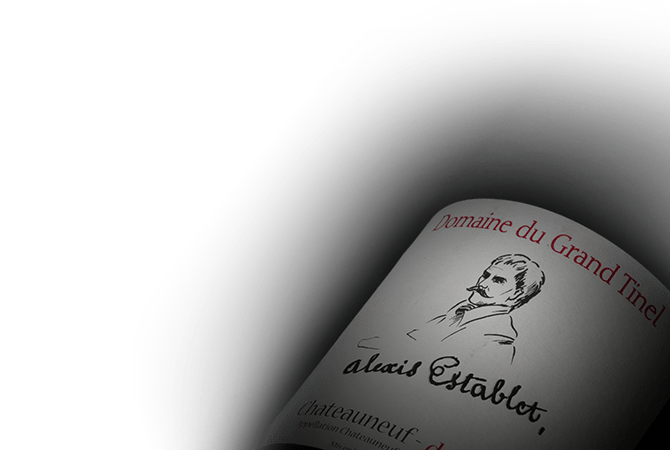 Domaine du Grand Tinel produces both reds (Grenache Noir, Syrah, Cinsault, Mourvedre, and Counoise) and whites (Grenache Blanc, Clairette, and Bourboulenc). The terroir unique traits lie in large round stones covering the soil. The pebbles store the heat from the sun during the day and release it at night resulting in the highest degree of grape maturation. At Domaine du Grand Tinel, respect for each parcel and grape variety impacts the entire winemaking process. The vine maintenance follows strict protocols which include reasoned use of protective chemicals.